1-10 Sections per valve bank. Load checks on each section. Hard chrome plated spools. Compact construction. Enhanced metering section available in both the high and low sections. 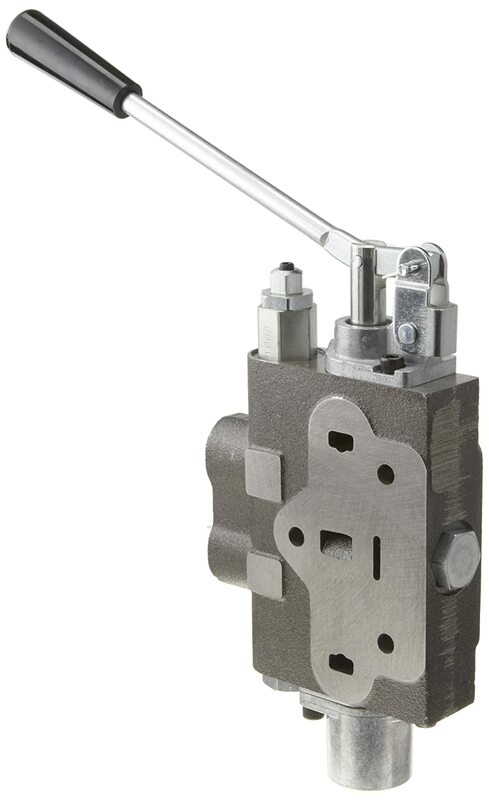 Differential poppet style relief, adjustable from 1500 to 3000 psi (also available in low pressure version adjustable from 500 to 1500 psi). Power beyond capability. Reversible handle. Mid-inlet and lock valve section available. Flow control inlet. Refer to pressure drop curves. Filtration: For general purpose valves, fluid cleanliness should meet the ISO 4406 19/17/14 level. For extended life or for pilot operated valves, the 18/16/13 fluid cleanliness level is recommended. Foot mounting. Port Relief Section. #8 SAE ORB (3/4-16 THD) port size. Standard lever handle. Adjustable direct acting relief 500-1500 psi. Relief cavity plugged.